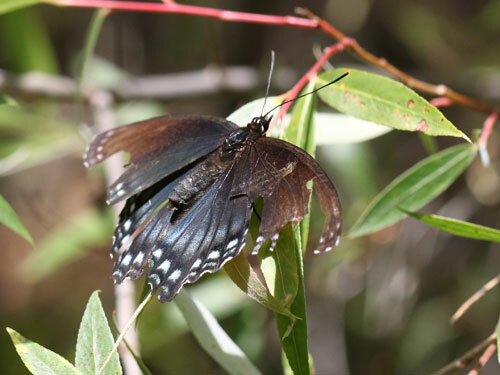 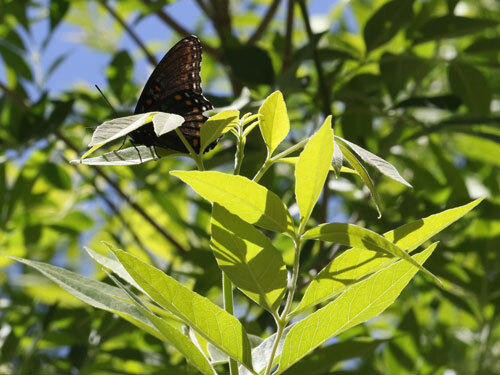 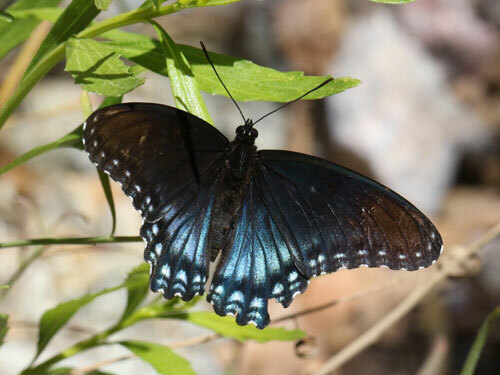 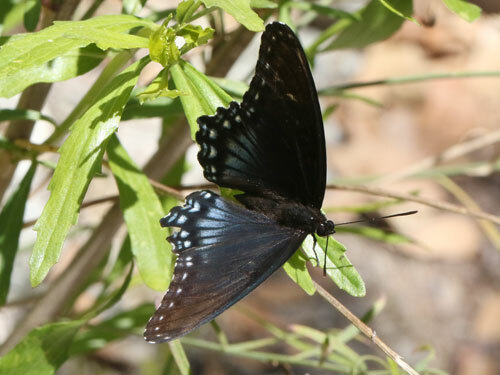 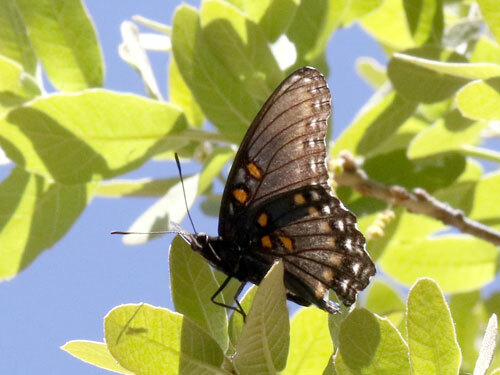 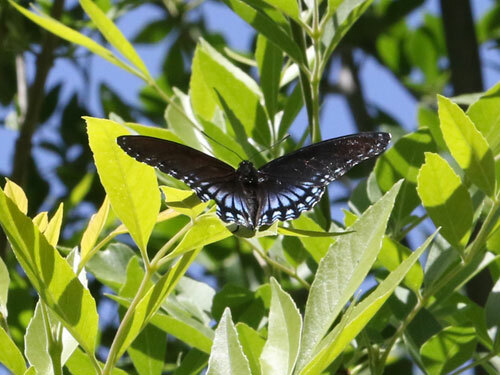 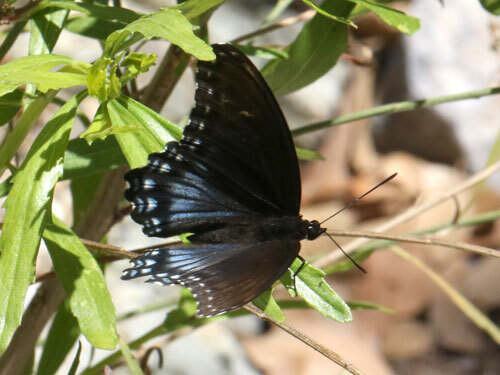 ARIZONA April 2015: A pretty good mimic of the common pipevine swallowtail, this butterfly gives away the game by its aristocratic gliding style, quite unlike the swallowtail it mimics. 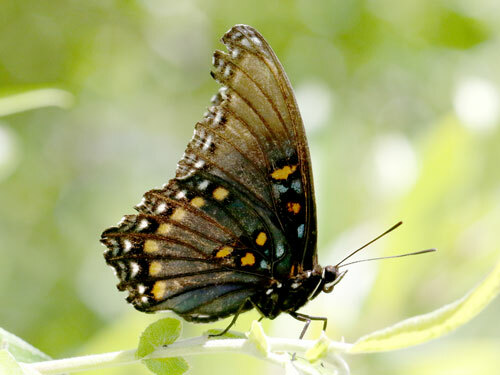 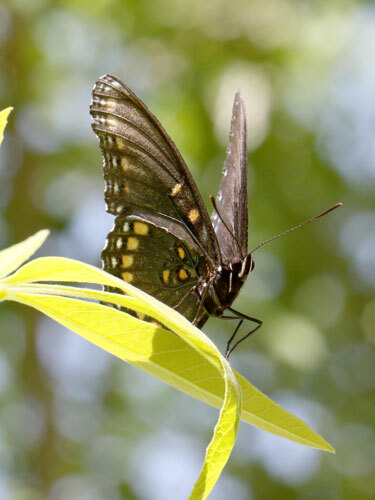 There is another form found along the Canadian border, the White Admiral, beyond the range of the pipevine swallowtail. 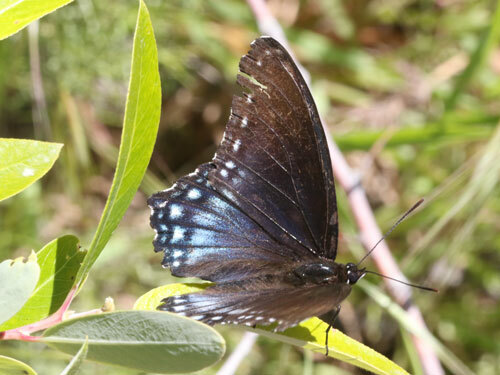 That form loses the blue sheen and has a strong white band across the upperside, looking rather like the European Emperors.